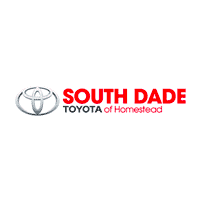 You Are Here: Home > Why buy a used car From South Dade Toyota? Only Vehicles in the Best Condition Qualify – Late-model, low-mileage vehicles with clean vehicle history reports are accepted into certified pre-owned programs sponsored by auto manufacturers. If a vehicle does not meet specific criteria, which varies depending on the automaker, it cannot become a CPO vehicle. Multi-point Inspection and Reconditioning Process – The number of things that a dealer will examine and, if necessary, recondition or replace to meet CPO program standards varies by manufacturer, but generally a CPO vehicle has endured between 100 and 200 individual item checks and is approved by the time it goes on sale as a certified used vehicle. Extended Warranty Protection – Many CPO programs extend both the original basic and the original powertrain warranty on a CPO vehicle. Typically, those companies that provide shorter-term time and mileage limits for the original new car warranty are likely to extend their CPO programs by significant amounts in an effort to be competitive. Other manufacturers that provide generous new car warranty coverage may not increase limits for their CPO vehicles as much or at all. Rather, the remainder of the new car warranty is transferred to the new owner. Low Interest Financing – It’s true that CPO vehicles are usually more expensive than similar models that have not been certified, but CPO vehicles can also qualify for lower finance rates, typically equal to the loans offered on new vehicles. For buyers who are financing their CPO vehicle, the lower interest rate effectively lowers the monthly payment, helping to ameliorate the effect of the higher asking price on the household budget. Satisfaction Guarantee – Some CPO programs allow a buyer to bring the vehicle back and exchange it for a different vehicle, within specific time frames and under specific mileage limits. This is not a money-back guarantee. Rather, if this benefit is offered, it allows for a one-time swap into a vehicle you might like better. We will beat any price on a similar vehicle, with similar mileage, carfax, and condition.